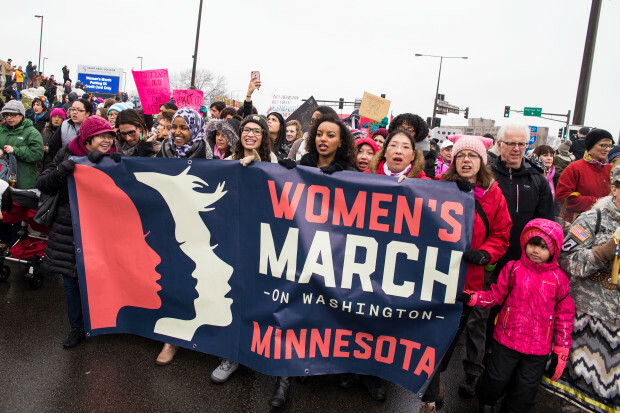 It's been a year since the election that spurred the largest march in US History—the Women's March on Washington, which ultimately mobilized millions of people across the US and around the world. The San Francisco creative agency, Big Monocle was asked by former client and Intel VP Global Creative Director, Teresa Herd, to create a visual identity for the march that all participants could rally behind. Big Monocle founder Amy Stellhorn engaged the creative faculties of Wolfgang Strack of Strack Design, as well as the Big Monocle team—Lisa Brown, Jeffrey White and Julie Brigham. 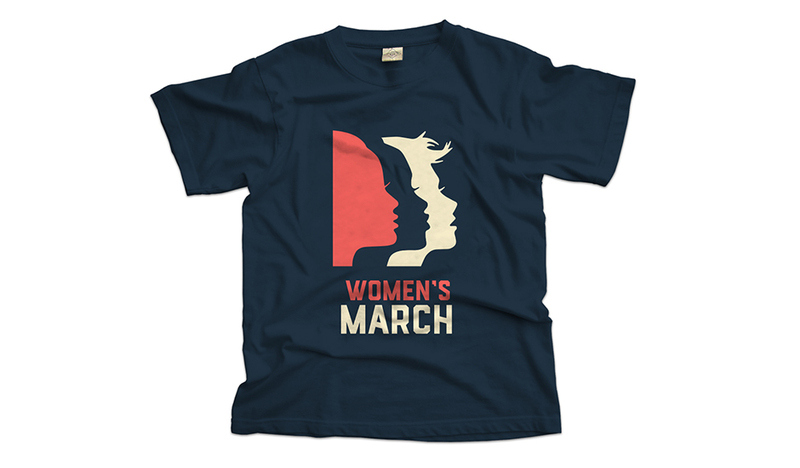 The group put their heads together in a "design-a-thon" to come up with a campaign theme that aided in creating solidarity between women of many different backgrounds. In the words of Strack, "it was important to me to make sure ALL women feel included." They settled on the profiles of three women, all facing towards the future, or in the words of Big Monocle "joined together to build a movement facing forward." The concept was executed by graphic designer and illustrator Nicole LaRue who also came up with the color scheme. 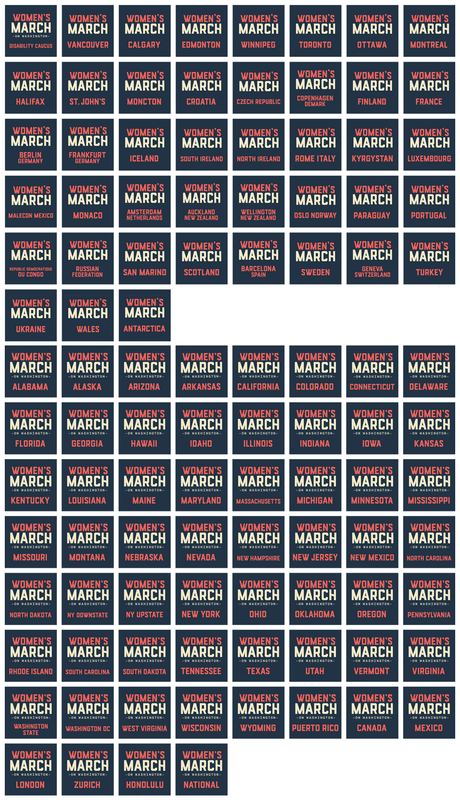 Check out Co.Design's recent article, The Two-Week Race To Design The Biggest Protest In U.S. History, to learn more about how a team of designers worked around the clock to meet an almost impossible deadline.